How Does What You Eat Affect Your Oral Health? Comments Off on How Does What You Eat Affect Your Oral Health? The effects stress can take on your body are immense. Everyone experiences it on different levels, which is why it is important to do things that will help to alleviate some of the stress in your life, such as working out, talking to a counselor, or even smiling! 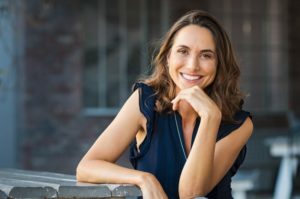 If you don’t believe that smiling can actually reduce the stress in your life, let a cosmetic dentist in Bloomfield Hills explain. There is no better way to greet a new year than with a smile on your face. Unfortunately, dental problems can make you want to hide your pearly whites instead of showing them off. If that sounds like your situation, then your cosmetic dentist in Bloomfield can help. Popular treatment options include whitening, veneers, crowns, and bridges. The holidays are just around the corner, which means family and friends are coming into town and holiday meals are being served. 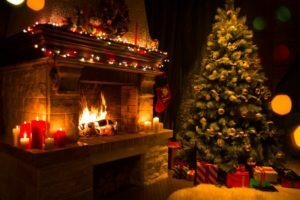 Pine and spruce trees are entering homes all over the neighborhood and people are planning their new year’s resolutions. During this festive time of the year, the dentists and staff at Cranbrook Dental Care want to thank its patients for their continued support at the practice. 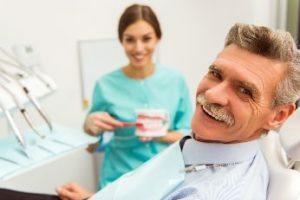 As you gear up for the new year, we figured now would be a good time to highlight some of our most popular services you can expect from a dentist in Bloomfield Hills. One of the most valuable contributors to your overall health is the quality of sleep you get. When you miss out on getting proper rest, there are a host of problems that can arise like heart disease, stroke and hypertension. 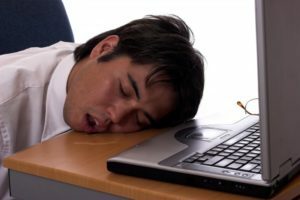 If you suffer from any form of sleep apnea, then your life is being negatively affected. A part of the solution is to be better educated. To aid in that endeavor, learn about the 3 types of sleep apnea and their causes. For missing or severely damaged teeth, there are different options available for restoration depending on the patient’s specific needs. 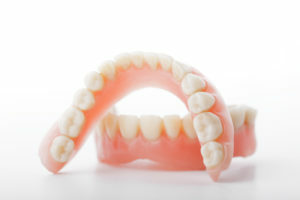 One of the common ways to replace missing teeth has been to have a set of dentures designed and fitted by a dentist. The placement of dental implants in Bloomfield Hills is an alternative that has some unique features, though. As you read on, learn 5 reasons why this method is gaining popularity among patients. Your Insurance Dentist in Bloomfield Hills Says Now is the Time! The past 10 months have moved at a dizzying speed, and now you find yourself on the cusp of a new year. Before the next 12 months start, though, you want to make sure you’ve done all you can to improve and maintain your oral health. In doing so, you’ll get more from your dental coverage. Your insurance dentist in Bloomfield Hills reveals a simple way to accomplish your goal as you continue reading! 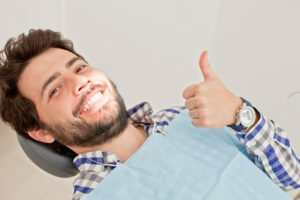 Comments Off on Your Insurance Dentist in Bloomfield Hills Says Now is the Time! Are you known to wake up the whole neighborhood when you sleep? Your local dentist says that if you frequently and loudly snore, it could be the result of sleep apnea, a serious condition that’s unfortunately on the rise. Learn details about this condition and the treatment methods available to treat it as you continue reading. Summertime Eating Tips After Getting Dentures In Bloomfield Hills! If you recently got dentures in Bloomfield Hills, congratulations on your new smile! You can look forward to more self-confidence, an enhanced appearance and better chewing function than before. 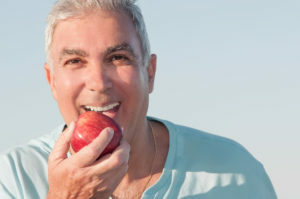 But now that you’ve invested in your oral health by getting new dentures, how should you eat this summer to make sure you don’t damage your new appliance? After all, summertime is a prime time for barbecues, vacations and special events where food is front-and-center! 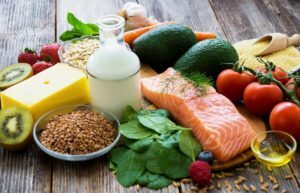 Fortunately, there are some easy tips for preparing food to make adjusting to your denture a lot easier. Find out more in this blog! Comments Off on Summertime Eating Tips After Getting Dentures In Bloomfield Hills!